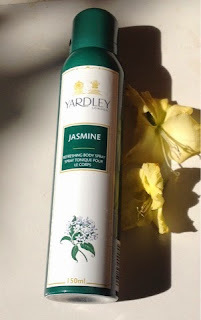 Most of us use deodorants and perfumed sprays all through the year .So this time I chose a body spray for review .This is Yardley London refreshing Body Spray.I am going to review three variants - Red Rose, Jasmine and English Rose .I have used and discarded the Red Rose bottle (silly me !) 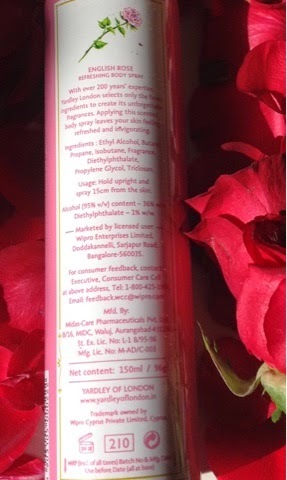 so will not be able to share the pics of Red Rose Body spray here . Price--Rs 180/- for 150 ml .All variants come at the same cost. 3.Works well on body odour and leaves a light fragrance ,the fragrance is neither overpowering nor too strong . 4.I love the Red Rose fragrance most , it reminds me of rosewater and our own Desi Ittar . 5.The Jasmine body spray smell mostly like - Jasmine only ,The English Rose (generally they are hybrid versions and so do not have a very sweet smell like a regular rose) has a milder slightly wild flower like fragrance.Sorry, I cannot really describe it well . 1. I did not love the English Rose and Jasmine variants much .The Jasmine variant smells like an ordinary chameli soap and the English rose does not leave an impact in terms of fragrance. 2.It irritates my skin a bit when sprayed directly on it maybe because of the alcohol content .So I prefer applying it to my clothes and from a at least 10-15 cms away . 3.You cannot layer it on to make the fragrance stronger ,It does not last more than 1 hour . 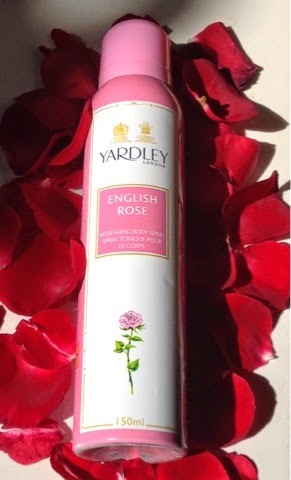 FINAL VERDICT - I rate the Yardley London refreshing body spray in Red Rose 3.5 / 5 and the other two a 3 / 5 . These are affordable, easy available body sprays that can keep away body odour and make you feel fresh .The fragrance does not linger for long and can irritate the skin.A good budget buy if that's all you are looking for .